At the Museum we have an excellent example of The Curta Calculator. Here is the story behind it. The Curta of Curt Herzstark is a remarkable mechanical calculator, based on the stepped drum mechanism of Lebnitz. It is a small, hand-cranked mechanical calculator, designed in 1930s, but introduced as late as 1948. It has an extremely compact design, a small cylinder that fits in the palm of the hand. It can be used to perform addition, subtraction, multiplication, division, and, with more difficulty, square roots and other operations. While the cylindrical arrangement of the calculator is certainly quite rare used, it is not original or unique to the Curta. Some of the earliest calculating machines, for example the Hahn’s calculator of 1774, had sliders, dials, or stepped drums around the top and sides of a cylinder. The remarkable calculator of Axel Jakob Petersson from 1873 also used similar cylindrical construction. Christel Hamman’s US Patent 703785 from 1902 describes a machine, which is very similar in concept to the Curta, having the same vertical setting sliders around the periphery, the single central stepped drum, and the liftable upper section containing the registers, similar cylindrical arrangement was used in Hamman’s Gauss calculator, which was built commercially from 1905. Herzstark’s undisputed achievement was to turn these earlier cylindrical concepts into a miniature mechanical masterpiece. The Curta was conceived of by Curt Herzstark in the 1930s in Vienna, Austria. Who was Curt Herzstark? 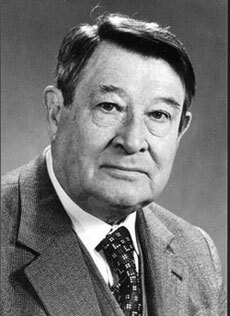 Curt Herzstark (1902-1988) was a son of the famous Austrian manufacturer of mechanical calculators—Samuel Jacob Herzstark (1867-1937). 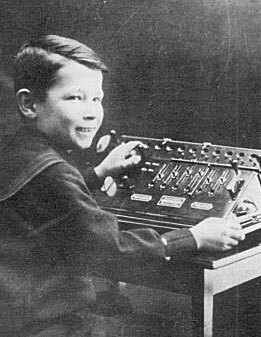 Curt was only 3 when his father began production of the Austria calculator in Vienna (see the nearby image of 6-years old Curt with an Austriacalculator). Curt grew up with calculators and studied mechanics. After finishing school, he began working at his father’s company, but later he went to work in AstraWerke and Wanderer calculator factories in Chemnitz, Germany, in order to gain experience in production of adding machines. After about a year in Germany, Herzstark returned to the family factory in Vienna and began to manage the factory beginning in 1930. By the mid-1930s he was developing plans for a miniature cylindrical calculating machine and by 1938, he had filed a key patent, covering his complemented stepped drum, Deutsches Reichspatent (German Empire Patent) №747073. By 1937, based on requests from factory customers, Herzstark had preliminary plans for a hand held mechanical calculating machine. From 1938-1943, the family factory was contracted to make precision gauges for the German military and were banned from continuing their construction and distribution of calculating machines. Curt became a target of the Germans, since he was the son of a Catholic mother (Marie Herzstark) and a Jewish father. 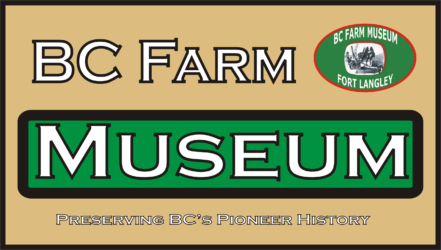 In 1943, he was arrested and sent to Buchenwald concentration camp, where he worked in the mechanics factory as a technician. While in prison, Herzstark was allowed to begin to design his calculating machine. Curt managed to survive the concentration camp and at the end of the WWII he was able to commence production of the machines at a new factory in Liechtenstein, launching the first machines in 1948. 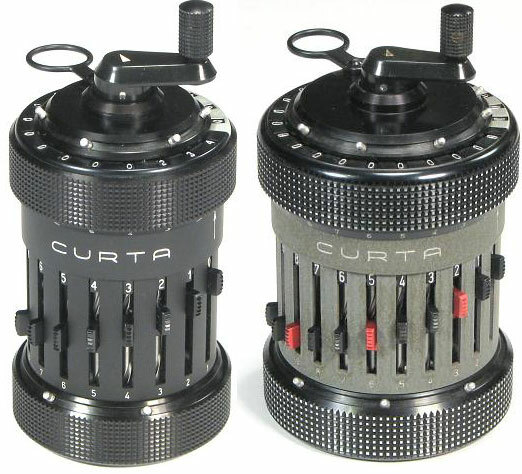 The Curta was produced in two basic models: Curta Type I (see the lower image) and Type II. An estimated 150000 Curta calculators have been made until 1972 (some 85000 Type I and some 65000 Type II). They were very practical and useful devices, and were very popular, especially in the surveying industry and engineering. A book of tables and a Curta in its metal can could easily be taken into the field, allowing calculations to be completed and measurements verified without needing to return to the office. Many Curta calculators were purchased simply as curiosities or as objets d’art, and some of these can still be found unused in their original packaging.